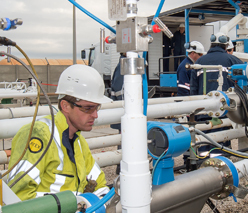 On site periodic calibration of measuring systems with the mobile pipe prover (piston mounted on trailer truck). The company is accredited COFRAC ISO 17025 No. 2-1948, COFRAC ISO 17020 No. 3-1461 (scope of accreditation available on www.cofrac.fr) and is MASE certified. 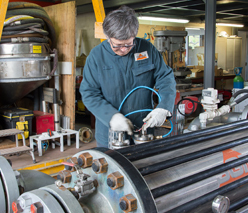 Whatever the technical act: maintenance, calibration or tank capacity verification – SGM is your unique contact. 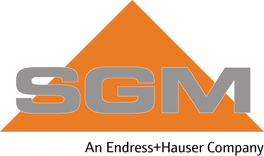 SGM – Société Générale de Métrologie is also a LNE certified company for repair services in these fields. Fields marked with an asterisk * are required. Only forms duly completed by natural persons, acting on behalf of a company operating in the regions covered by Endress+Hauser France, may be taken into account. We use your personal data primarily for personalisation purposes and will retain them for as long as necessary to fulfil Endress+Hauser’s contractual and legal obligations. They will in no way be communicated to third parties. In accordance with the Data Protection Act and the General Data Protection Regulations, you may exercise your right of access to your personal data and have them corrected by contacting the Data Protection Officer at the following address: Endress+Hauser SAS, 3 rue du Rhin BP 150, 68331 Huningue Cedex, France. 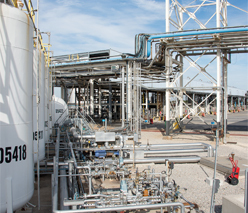 Regulatory controls, primitive and periodic verifications of measuring systems for oil and gas industry. Discover SGM – Société Générale de Métrologie in video!